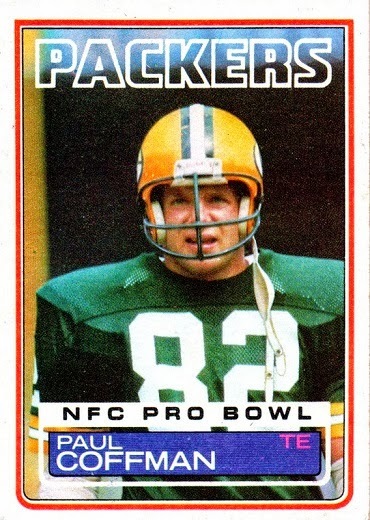 The Green Bay Packers were facing a major challenge as they hosted the Washington Redskins on October 17, 1983. 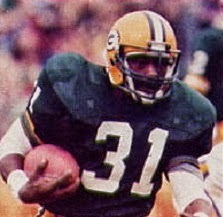 At 3-3, Head Coach Bart Starr’s Packers were a team that could put points on the board, especially with QB Lynn Dickey (pictured above) passing to wide receivers James Lofton and John Jefferson and TE Paul Coffman. But they also gave up points and came into the game with the 28th-ranked defense in the NFL. They also had to make adjustments on the offensive line, with G Tim Huffman out with an ankle injury that necessitated moving Greg Koch over from his OT position and starting Charlie Getty at tackle. Lynn Dickey completed 22 of 31 passes for 387 yards and three touchdowns with one intercepted. Paul Coffman had 6 catches for 124 yards and two TDs while Gerry Ellis (pictured at left) contributed 105 yards on four receptions to go along with his three carries for 41 yards that included a score. James Lofton caught 5 passes for 96 yards and John Jefferson added 50 yards on his four catches. For the Redskins, Joe Theismann was successful on 27 of 39 throws for 398 yards and two TDs and no interceptions. Joe Washington caught 9 passes for 57 yards and two touchdowns to go along with his 80 rushing yards on 16 carries. John Riggins, who had to sit out much of the second half with a hip injury, nevertheless led the club on the ground with 98 yards on 25 attempts that included two TDs. Art Monk gained 105 yards on five catches and Charlie Brown had 6 receptions for 91 yards. The Packers lost their next two games on the way to an 8-8 finish that put them second in the NFC Central (and cost Coach Starr his job). Tellingly, while they ranked fifth in the league with 429 points, they also gave up a NFL-high 439 points. Washington didn’t lose again during the regular season, compiling a 14-2 record that was best in the league as well as the NFC East. Along the way, the Redskins set 18 NFL records that included points scored with 541. However, after repeating as NFC Champions, they came up short in the Super Bowl, losing decisively to the Raiders. 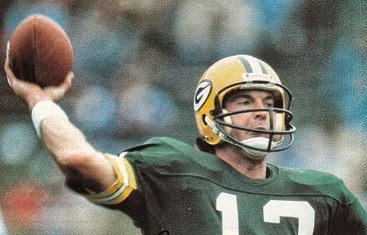 Lynn Dickey led the NFL in passing yards (4458) and touchdown passes (32), although also in interceptions (29). James Lofton (58 catches, 1300 yards, 8 TDs) and Paul Coffman (54 catches, 814 yards, 11 TDs) were both selected to the Pro Bowl. 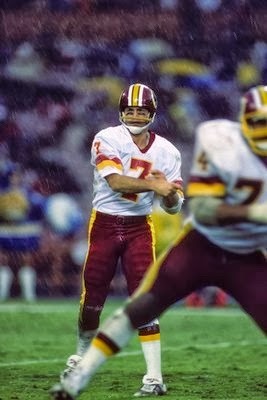 Joe Theismann had a MVP year as he ranked second in passing (97.0 rating) while compiling 3714 yards and 29 touchdowns. John Riggins was a consensus first-team All-NFL selection as he rushed for 1347 yards and set a new league standard with 24 touchdowns. Joe Washington added 772 rushing yards and 454 yards on 47 pass receptions.